For lovers of Lebanese cuisine, here are some of our favourite dishes that appear regularly on the Sumac menu. Many other dishes are available too, depending on the season and the supply of fresh ingredients. To explore our full menu you'll have to come and try for yourself. Made from pureed chickpeas mixed with sesame-based Tahini and freshly squeezed lemon juice, Hommus is served with olive oil and freshly baked bread. The texture strikes a perfect balance of smooth yet firm creaminess that combines with an undercurrent of lemon to create a rich depth of flavour. This classic Lebanese salad is made using a selection of leaves and vegetables, vinaigrette dressing and toasted pieces of pita bread. Quick and simple to prepare, the attraction of Fattoush comes from the freshness of its main ingredients that vary according to the season and individual tastes, making it a consistently original dish throughout the year. Halloumi is a mild, firm white cheese made predominantly from goat or sheep’s milk. 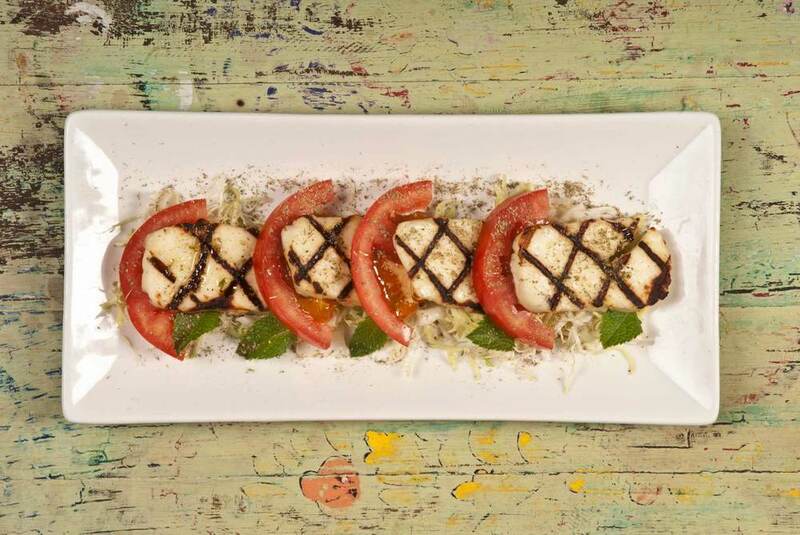 In this traditional dish slices of Halloumi are grilled and topped with roasted tomatoes sprinkled with a hint of thyme. Lahem (meat) Meshwi (Roast) is a dish that can be made using lamb or beef. Sumac's version sees succulent beef cooked in the traditional way, charred over coals, skewered with peppers and flavoured by fresh herbs and spices. Cubes of fresh chicken are immersed in a delicate marinade of lemon juice and spices overnight allowing time for the subtle flavours to be fully absorbed. Served skewered and grilled with garlic dip and accompanied with Phoenician fries. A staple in Lebanese cuisine, this lamb dish is made using a special combination of spices infused with a hint of mint. The lamb is succulent and tender from the overnight marinade and slow-cooked for a rich, aromatic burst of flavour. Served with giant couscous, zucchini and diced carrot.